Need help with Drug & Alcohol Addiction Treatment in Whitehorse, Yukon? 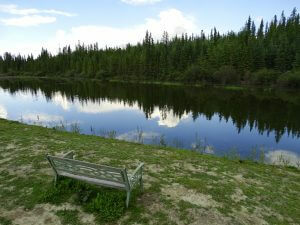 Last Door has worked with many youth and adult males from the Province of Yukon. Family members can visit their loved ones in treatment at no additional cost and stay in one of Last Door’s family suites. When you call Last Door addiction prevention consultants are available to help you navigate access to treatment. Northern Counselling & Therapeutic Services Inc.
We are a community-based group of professionals with decades of combined experience providing counselling services, psychological assessment, research and policy development in northern regions. We believe in offering the best, cost-effective services to our community. We believe in multidisciplinary approaches that help clients to live healthy and productive lives in the North. 203 – 208 Main St. The Treatment Services Unit offers three treatment options: Counselling – including a groups, Intensive (live-in) Treatment programs, and Youth Treatment/Counselling.